Smart marketers know they can’t create a successful campaign based on a hunch anymore. Many of the traditional marketing approaches that worked in the past won’t cut it as modern-day methods. There has to be a better way. The good news? There is a better way. It’s called data-driven marketing, and it maximizes your success with the valuable information you collect from your customers. Almost half of all brands plan to expand their data-driven marketing budgets. 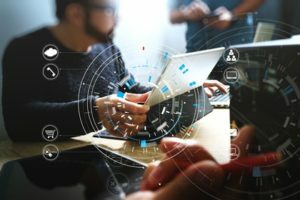 Here’s what you need to know about data-driven marketing tools and techniques. Data-driven marketing is a strategy created from the analysis of information you collect from your customers. This could be via surveys, forms, polls, analytics, research, or any previous interactions you’ve had with them, like telephone conversations, online chats, etc. The basics—name, mailing address, and email address. These are imperative. Demographics like age, gender, and profession. Transactional data, such as what they buy from you, when they make purchases, and how often. You can create categories for your customers: Active (if they made a purchase within 30 days) and dormant (if they made a purchase more than 30 days ago). Net Promoter Score: How likely are they to recommend your product to a friend or colleague and why? UX data: How is a customer using your product? This allows you to see what’s most popular so you can prioritize it. References: How did you hear about us? 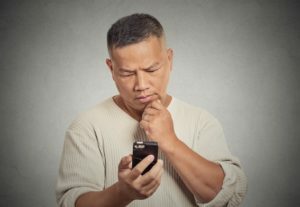 Communication preferences: Why did certain customers opt out of ongoing communication with you? Online activity: How are they accessing your website (mobile or desktop)? What are the most frequently visited pages? What social media platforms are used to interact with your brand? Are they using your app? One of the primary goals with any marketing strategy is to enhance and personalize your customer’s experiences. The valuable information you collect from your customers helps a great deal with accomplishing that objective. Personalization has changed the way you do marketing. With this data-driven marketing approach, you can target your customers by speaking to their preferences and interests. In turn, you increase your chances of engagement and conversions. In a survey of U.S. adults, 90% of respondents said personalized content was appealing to them. When you personalize your marketing campaigns, you increase your chances for success. More than half of all marketers are seeing up to a 20% improvement in their KPIs from personalization. 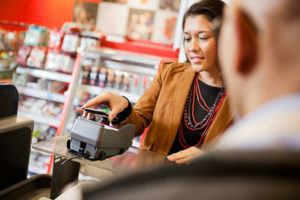 In a Forbes article on personalized customer experiences, 40% of U.S. consumers said they bought something more expensive than originally planned because they received personalized service. Let’s look at an email campaign as an example. You can create an email message (or series of messages) targeting the needs and interests of a particular segment of your mailing list. This automated form of data-driven marketing will help you personalize messages to each customer you send an email to. Approximately 80% of consumers are more likely to do business with a company if that company provides a personalized experience. New research proves that consumers are not only expecting it, they’re disappointed if they don’t get it. That’s enough reason for you to make sure each of your marketing campaigns has some form of personalization, even if it’s simply using a first name. It makes your customers feel more important and it provides a better customer experience. A particularly effective form of personalization is a rewards program. Use data-driven marketing tools to determine the type of product purchased, how often it was purchased, when it was purchased, etc. Then you can personalize a discount for repeat customers based on what they buy, how often they buy, when they buy, etc. This builds customer loyalty and inspires future sales. With direct mail personalization, you can simply add the consumer’s name to the headline (and a bit of color) to increase your response rates by as much as 135%. When you add even more personalization via variable data printing, that response rate could rise as high as 500%. It pays to personalize. The lines between personalization and remarketing are slightly blurred. Remarketing is targeting customers who have either spent time on your website or have shown they have an interest in your products without converting. Here’s an example. By using data-driven marketing, you can track certain pages of your site and identify the people who visited, but didn’t convert. For instance, some brands will track those customers who left an item in their shopping cart without buying it. When this happens, you can re-engage them by sending an email reminding them to purchase that item. Have you ever visited a website and discovered a display ad that made you think: “Hey, that’s exactly what I was searching for earlier. That’s interesting it would show up here, on another website.” Well, it wasn’t an accident. It’s an example of remarketing, a not-so-subtle effort to get you to make a purchase via the Google Adwords display network. Of course, it doesn’t have to be the same product. You can remarket with a complementary or similar item. You can also provide a recommendation via email. Let’s say a customer is shopping on your site and they look at a few items, but don’t make a purchase. If at any point they’ve signed in or provided their email address, you will recognize them. You can send them an email that not only displays the items they viewed, but also some similar items they might like. Timing matters when you’re remarketing. One clothing retailer found that shoppers who visited one of their stores (physical or online) were more likely to open and respond to a message sent the same day. That’s when people are still thinking about shopping—within that same 24-hour period. Data-driven marketing also provides useful information about ordering history, so customers don’t forget a birthday or anniversary. If you run a flower shop, perhaps you sold flowers to a customer who was sending them as a birthday gift. You know this because they included a birthday card with the flowers addressed to someone named Sarah. Data-driven marketing tools allow you to remember that event so you can approach the customer a year later with this type of proposal: “It’s Sarah’s birthday! Would you like to send flowers to her again this year? Here are some beautiful possibilities.” Imagine the possibilities for your own retail brand management efforts. You can also send an email reminder about a product they may be close to running out of. For example, let’s say you sell health-related supplements. If someone purchases protein powder from you, you can set a reminder for the approximate time they would need more protein powder and send out a reminder via email. To properly sell to your customers, you need to know their behavior patterns. Some of the largest companies in the world have spent billions of dollars (or more) researching consumer behavior. They want to know how (and when) consumers decide to make purchases and what factors influence those decisions. As a distributed marketer or marketing executive, it doesn’t matter how large the organization is that you represent. The more you know about your customer’s buying decisions, the more products or services you can sell to them. Data-driven marketing provides this information. You don’t need to be psychic to figure out what your customers are going to do. You just need data-driven marketing results to pre-target them. Take your website’s click-through rates as one example. Which CTAs are clicked most often? Which ones are ignored? How many pages are consumers visiting? Which ones seem to be serving as an exit door from your site? When you analyze browsing behavior, you can maximize your opportunities to reach potential customers. Data-driven marketing lets you know where your customers are coming from—literally. By obtaining your customers’ location information (like their mailing address), you can find out where in the world they are. How is this beneficial? You can target consumers to make a purchase at a physical location closest to where they live. In years gone by, you might’ve been limited to advertising on an outdoor billboard. You can still do that, of course, but digital marketing targets readers online according to their county, town, or zip code, just to name a few of the possibilities. Location-based marketing lets you use location as data. This helps smart marketers create and improve their segmentation and targeting efforts. Also, consider the regional or cultural differences that may impact your marketing. Many multicultural strategies ask whether a consumer comes from a specific ethnic background or not, but that’s it. Don’t assume certain ethnic demographics make up the market for specific products. For instance, according to an Academia report, suburban white men buy a whopping 80% of the hip-hop music in America, not the assumed young, urban black demographic. Where are they accessing your website from? Are they finding you from an organic search result? What was the keyword used? Did they discover a social media post which prompted a visit to your site? What kind of device are they using: desktop or mobile? How much time are they spending on the pages they visit? All this information helps you effectively adjust/plan future marketing strategies. Keep in mind, however, that you don’t need to know what every conceivable bit of data means. You should ask yourself what the data’s contribution is to your company’s goals. If it’s pertinent to the plan, capture it and use it to your benefit. One of the essential benefits of a data-driven marketing plan is gathering information that shows what’s working—and what isn’t. To move forward with your marketing strategy, you should make the necessary adjustments when your original plan isn’t working the way you had intended. Alternatively, if you’re finding success with a plan, you’ll know to stick with it to realize its full potential. Every smart marketer knows to measure ROI. But what return do you expect? What are your goals? You need a plan that will take into consideration all your marketing channels in both the short and long-term—to represent the lifetime value of your customer. You need to decide how you’ll define success before you create a plan, otherwise, it will be impossible to know what success is. If you knew what your customers wanted, you’d probably adjust your product or service to meet their needs, right? So why not ask them? Data-driven marketing provides a better understanding of your target audience via surveys, polls, and live support chats. The information provided leads to the development of your products for that particular market. Of course, customers will oftentimes provide unsolicited feedback, both good and bad. Take all the information you get with a grain of relevancy to your goals. But keep in mind: the more feedback you get, the broader the view you’ll have of your product. Also, if you’re using powerful reporting software for an automated marketing campaign, you can analyze your most popular products and categories. Then you’ll see what’s getting the highest number of customer views. Your data’s telling a story if you’re listening. Take the time to understand what’s important to your customers by utilizing a data-driven marketing approach. You’ll gather the information you need to create a successful marketing plan. It helps to enlist the services of a trusted marketing partner with a product that provides a wealth of valuable information. 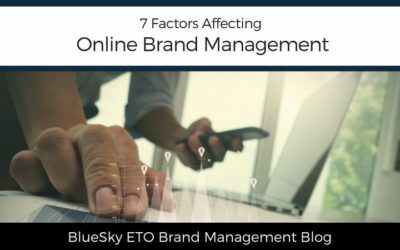 BlueSky ETO’s robust reporting software is easy to generate, customize, and analyze. It provides game-changing insights to help you reduce waste, drop your production time, focus your marketing efforts, and broaden your reach and sales. If you want to learn more about how you can leverage data-driven marketing tools to take your brand to new heights, schedule a one-on-one brand consultation today. The right marketing plan is so important. Wow, its a great tips and hits for the growth of small business owners. Thank you for sharing this informative post. Thanks for the great pointers! I’ll definitely be implementing the information. Wow, this post is so informative. A great post for small business owners. A solid marketing plan is really important! Great hints and tips for us small businesses owners. I will refer back as I expand because there were a few things I did not know. Great points for business owners. Everything is data driven in the marketplace so this is very helpful. Reading this post makes me feel that I have had just a dose of big information that my brain couldn’t almost contain. Haha! Indeed such a very informative post! Data driven insights do allow you to cater to your audience better. The more you know, the better. I have to agree with Laurie in that there is a fine line between customising the experience and making marketing creepy. I do imagine that these services come at a significant cost. What sort of annual turnover should a business be generating before embarking on these sophisticated tools? This is a great post for business owners! The right marketing plan is so important. This was so very interesting. I think that having the data there can be of so much use for potential customers. Great list of tips. a found a couple of them to be very helpful for my business. My business is forever changing and I need to find ways to help me with it. I love data so much! It’s so helpful when making decisions for marketing purposes!!! Great post. Very informative! This is fascinating and something I need to research more about. I’m bookmarking it! Great tips!! In my previous work we did a lot of data-driven marketing when we were redoing our logo. It was super interesting to read the opinions that our customers had about our organization! This is all so true. I work in Marketing and we conduct almost all of our marketing through careful data analysis; the results are so much better than the spray and pray approach! Great explanations tips and advice here. Knowing your customers / target audience is so very important. Thanks for sharing! Really good tips. I think more of us should take date driven marketing into consideration more often to build ones business. These are helpful insights especially for my strategy in marketing my soon to be business. Looking forward to more of your posts! Thanks for this! what a helpful and in depth article! would surely keep this in mind when the timing requires! I need to work on figuring out who my readers are. That would help with what I write about. Data driven marketing should be a cornerstone to any marketing/advertising plan. You need to know your target audience very well in order to properly reach and engage them. 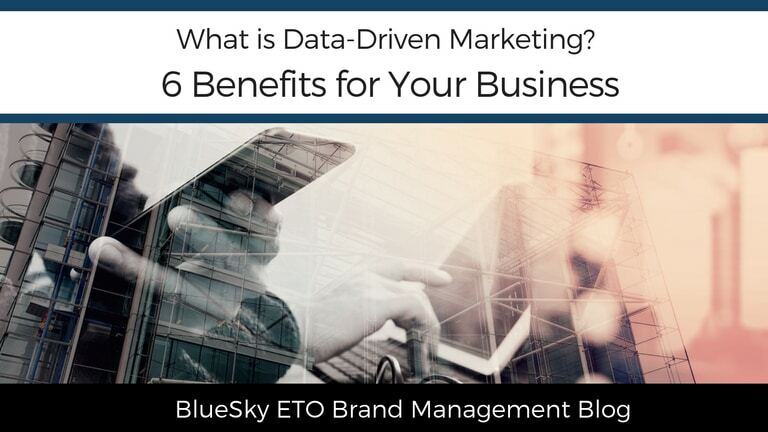 Data Driven Marketing provides better insights and can calculate results with less costs. And this will make your team more efficient and focused. Business and marketing have and will continue to change. We all need pointers on keeping up so we can be as successful as possible at meeting our customers needs. I agree that personalization is key! Even with emails, I always delete ones that seem generic. There is so much to understand about data when you are running a business, large or small. Sometimes it can be overwhelming, but this helps break it into bite-size chunks. You have great points here and I have just gotten a good lesson reading it. Figure out what’s working and what is not working is crucial and I shall look into it.